Nice guy -- maybe the Hawks should use him more. 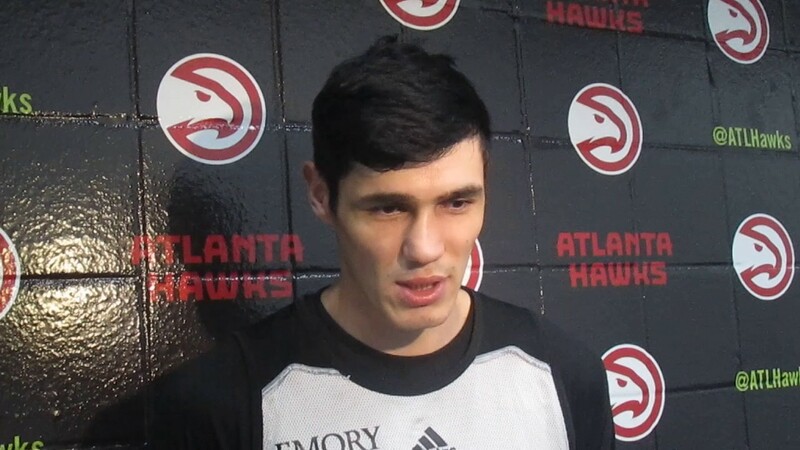 When the Atlanta Hawks traded for Ersan Ilyasova before the trade deadline, I understood it. Since the Kyle Korver trade, it seemed as if teams stopped caring about the Hawks perimeter game and sagged back into the lane, limiting the top five drive rate of Dennis Schröder, the artistry of the offensive game of Paul Millsap and the room to roam inside for Dwight Howard. Mike Budenholzer has been slow to use Ersan, likely due to his notorious defense. However, Bud has also moved Tim Hardaway, Jr. to the second unit with Ersan, doubling down on defense with the starting unit. That's over the last five games (thanks, nba stats!) and the ten game look is more or less the same. The Hawks are shooting a lot better with THJ and Ersan in the game, draws more fouls and turns the ball over less. Hey, they are even playing better defense. Yes, yes, yes, but what about the offensive and defensive ratings? Man, that lineup even plays faster! When watching the Orlando Magic sink into the lane and thus suffocate (at times) the Hawks offense, it was clear nobody is scared of Schröder jump shots nor Thabo's or Bazemore's. As Bud continues to run that first lineup out to start the games, the Hawks will continue to struggle out of the gate. He should consider opening things up with some shooting to spread the floor. Dennis has alarming instances of immaturity and needs to understand his role as emotional, and not just usage, leader on the floor. He lost sight of that after a tremendously lucky shooting stretch in the first quarter, and Bud had to use playing time to get the dude's attention. He got into it with Dwight Howard and showed his immaturity to a degree that he needed what he received. Looks like the remedy worked as he wanted to private conversation to understand why. Perfect. Mission accomplished. Hopefully, Dennis listens. I am no fan of petulant coaches, but this is not that kind of situation and this issue with Dennis is an ongoing growth opportunity and another chapter in the book. It's why I said the Hawks foolishly went into the season without a veteran PG behind Dennis to push him and mentor him. Malcolm Delaney is no threat, nor is he the best example that Dennis can learn to. I don't think Jose Calderon is the best remedy for that, and hopefully the team sees this as a need heading into next season. Dennis is great, with still much more to develop, but his own approach will be necessary to realizing this ceiling. His role is bigger than he understands.